Bandon’s Senior Hurlers face a very difficult championship encounter against our great rivals Newcestown in Clonakilty on next Saturday evening at 6pm. The team have prepared very well for this difficult assignment and have been very close to victories in their last number of league games. A large support on the evening may prove decisive in getting the team over the line and into the county quarter-final. The Junior B Footballers play a league game away to Tadgh MacCarthaigh’s on this Thursday evening 30th August at 8pm. The Under 13 Premier 2A Football team recorded a 3-5 to 1-5 home victory over Douglas last Friday evening and got a walk-over from St Nicks in last evenings league game on the 27th August. Our Under 16 Premier 2 Hurlers are on a hot streak of form at the moment after recent away league victories over East Cork sides Killeagh and St Colman’s on scores of and 2-17 top 3-8 and 2-13 to 0-11. Our Under 14 Premier 2A footballers face Fermoy at home this evening 28/08 in the first round of the County Championship. 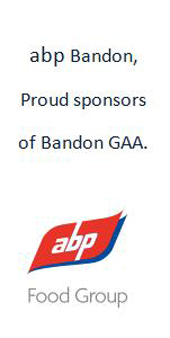 Finally, special mention goes to the following Bandon Underage players Eamon Twomey, Richard Murphy and Tim Twohig who played on Cork County Hurling teams last weekend. Eamon was selected on the Under 14 Hurling Team that competed in the Tony Forristal Memorial Cup at venues in County Waterford, Richard played with the under 15 hurlers in the Arrabawn Cup at County Tipperary and Tim competed in an Under 16 county tournament at the Mallow GAA Complex on Saturday last.